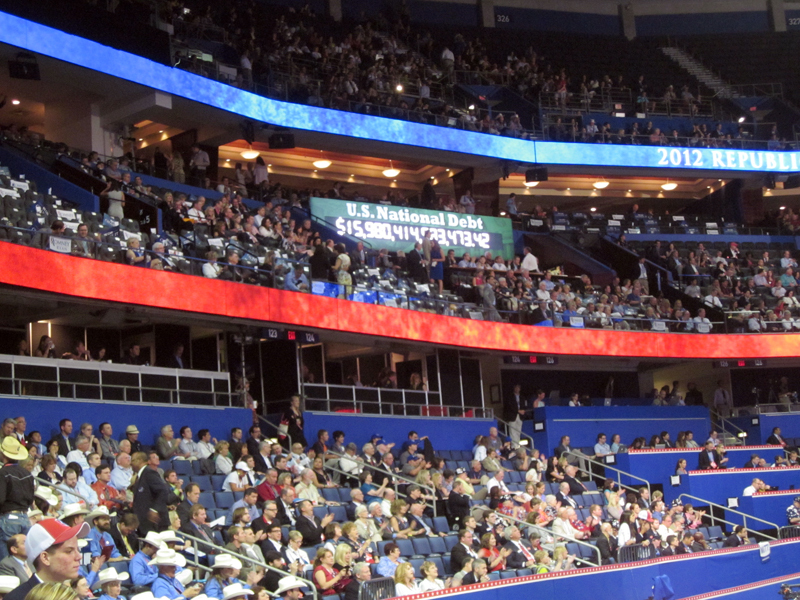 Education finally got its place in the spotlight Thursday during the final night of the Republican National Convention, although it wasn’t Mitt Romney who put it there. It was Former Florida Gov. Jeb Bush who delivered the GOP message, devoting his entire speech to improving education — his signature issue while in office and his top priority out of it. Romney momentarily touched upon his school choice policies later in the night, during a nomination acceptance speech that focused more on his own background and Obama’s shortcomings. It was Bush who did the heavy lifting to sell Romney’s education plan. But it wasn’t that long ago that he and President Obama were on the same side, though, says Valerie Strauss at The Answer Sheet. On Thursday night, Bush argued that increasing school choice was a necessity to fix the country’s education system, even though teachers unions traditionally oppose charter schools and voucher programs. The Obama administration, which has thrown its support behind charters, has not pushed for vouchers. Bush highlighted Frantz Placide, a Miami native and 2010 graduate of Wagner College,as a success story from Bush’s voucher program. Placide used his voucher to enroll in Miami – Archbishop Curley Notre Dame, a Catholic high school. The voucher program was ruled unconstitutional in 2006, but Florida still has a tax credit scholarship program for low-income students. Vouchers will be on the ballot in Florida once more in November. Romney has proposed a national system that would allow low-income and special needs students to be able to enroll in any school – public or private – with public funding. Bush praised his plan and sent another barb President Obama’s way. “[Romney] believes parents – regardless of zip code or income – should be able to send their children to the school that fits them best,” Bush said. “That has set him against some entrenched interests. There are many people who say they support strong schools but draw the line at school choice. His talk also simultaneously praised “great teachers” and implicitly criticized others. Sean Duffy, a teacher at Texas’s Del Valle High School, spoke of “good teachers” leaving the profession for more money and “bad teachers” getting locked into the system, arguing that students should be put first. Bush acknowledged that teaching was a challenging job, but argued it boiled down to an easy formula. “If you follow some core principles, and you challenge the status quo, you get great results,” he said.